The resplendent peacock has long been associated with royalty and true vision, and in the spiritual realms with protection, watchfulness, and awakening. In the tail are the eyes of the stars, bringing good luck. In Christian symbolism it represents immortality. 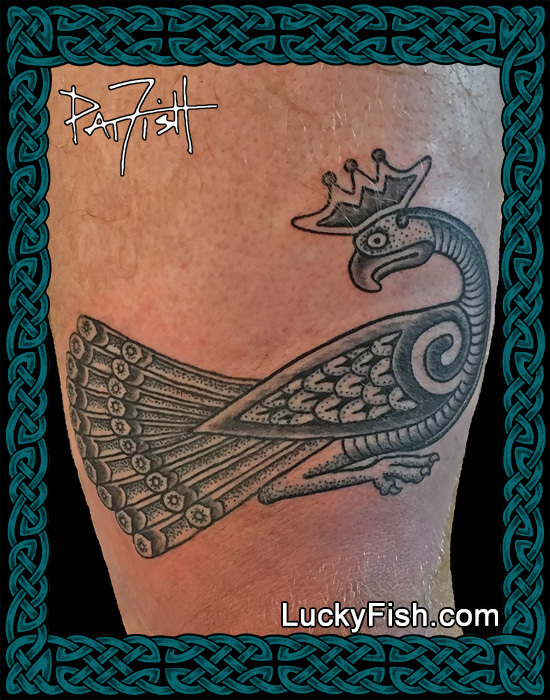 This peacock is rendered in the style of the ancient Irish manuscripts.